A VPN (Virtual Private Network) is a method used to add security and privacy to private and public networks, like Wi-Fi Hotspots and the Internet. VPNs are most often used by corporations to protect sensitive data and the one who spend most of their time online and work online to protect their data and work. To prevent disclosure of private & secure information, it typically allows only authenticated remote access. VPN not only allow you to add security and privacy to your networks but also it helps you to access those sites which are banned in your country. In early days only corporations were using VPN but now as countries are filtering the contents and sites for their users, it has become quite popular and almost all the people who work online uses VPN somehow. VPNs have become an integral part of our online work. We are living in the century where more than 27% of transactions are done just through mobile and more than 70% works are being done online and so data theft and identity issues are always there. So if you are doing business online and that involve sensitive information as well as financial information then you must use VPN to ensure the security and privacy. There are so many VPNs available in the market and those are doing well in their field. Today I am going to tell you about Kepard which is an excellent VPN to use for your security and Privacy. Kepard is a Premium VPN provider where you can transfer unlimited amount of encrypted data to the server. I liked Kepard as just by paying little amount, you will have access to all their servers, services and protocols. You can transfer your data over internet from anywhere. Working of Kepard VPN is also similar to how other VPNs are working. It help you in the way- when you are sending any data over internet, Kepard protects all your data and save you from any security attack. Whenever you are online from place (suppose US) than your location will be shown as US (through IP) and stealing those data from the same country will be easier for anyone who is trying to do a security attack on you. To save this, Kepard frequently changes you location. It shows a false IP instead of your real IP and if you are sitting in US and is showing IP of UK so other will be knowing that you are in UK and as it keep changes the IP (on average 10 min) so will be very difficult for someone to go over it. Kepard is an excellent VPN providing wide ranges of features at very small price. 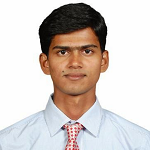 Kepard works well on both Android applications as well as Windows applications. 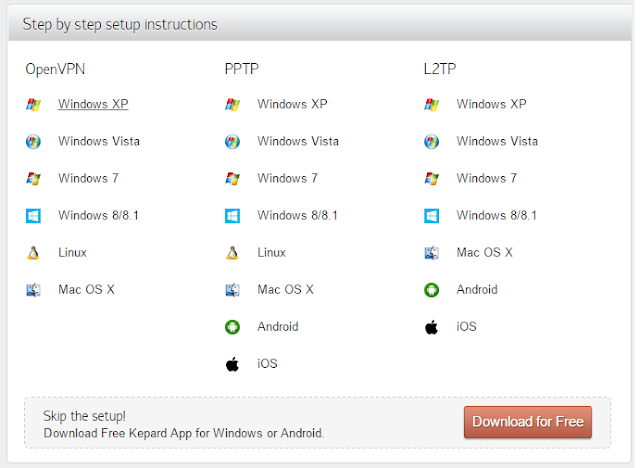 Unlike other VPN tools, Kepard works on all the operating systems like Android, Mac, Linux and Windows smoothly. It quickly recovers from any lost connections and reconnect it and also quickly connect to the changing IPs, securing you from any issues. Support is one of the integral part of any product and service and it has been seen that almost all the companies provides before sales support but when it comes after sales support, many lacks. But this is not the case with Kepard. You can raise a ticket for all your questions and be sure to get instant response and resolution. The communication modes involves – Ticket and Email and they are really quick in that. They have 24x7x365 support for any issue or clarifications. The countries Kepard is available decides how many country’s IP you will have access to. But the good thing is, Kepard is available 9 countries and hence you will have access to thousands of IPs from all these countries. Below are the list of those countries. Kepard provides 1 day free trial to their premium services. You can download the Kepard software and can use for a complete day without any hustle. You can use this link to download the free trial. Apart from this 1-day free trail, if you can refer some of your friend to Kepard, you can have 180 days of free access to premium services. Yes, just you have to refer people to Kepard and definitely 180 days is not a bad deal at all. So just in $35 (which is the cost of just 5 months), you are getting access for a complete year…isn’t that beneficial? Kepard doesn’t provide any money back guarantee but with the price like this, it will be not justifiable as well. The payments methods includes PayPal or through internet banking or through cards. They accept all the cards like Master/Visa etc. Kepard doesn’t keep any logs which means there will be no record of your real IP and so you will be more secure. In early days they used to keep logs for 3 days but now due to some reason they have removed it. As far as encryption goes, while the website mentions ‘up to’ 265-bit encryption, when we asked we were told that 128-bit blowfish OpenVPN is the default. Kepard provides detailed resource for all type of system to setup the VPN. You can check their resource section for the details. Kepard is a great VPN software at very cheap price with great features and services. If you are looking for a VPN, you must go with them. Have you used Kepard? What is your experience?